France has been a powerhouse of film and television for decades, and is a hub for European sport. But if you try and access French streaming websites from other countries, odds are that your access will be blocked. That’s what SmartyDNS is for. Our service lets you watch French TV outside France, no matter your location. 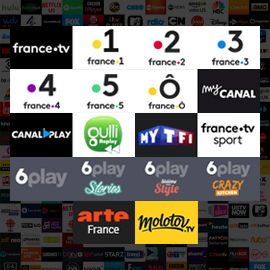 Whether you’re looking for sports coverage, the latest French dramas, or up-to-date news broadcasts, we have everything you need to bypass restriction and enjoy some of the best french streaming sites around. How Can I Unblock French TV with SmartyDNS? Take your pick of the best French streaming sites, and start watching! France 1 provides a selection of TV programming, as well as regular news and updates relating to France’s overseas protectorates. France 2 provides a range of programming, covering news, drama, children’s shows, culture, documentaries, and more. Sport-France are one of France’s premier sports broadcasters. Their streaming service allows fans all around the world to access coverage from a wide range of events, both within France and international. They’re the ideal site if you’re looking for in-depth coverage of sporting events. MyCanal is a streaming service provided by one of France’s biggest film and TV production companies. They have been responsible for a string of hits, and own the rights to a wide selection of fantastic cinema and programming. They are a great place to stream French TV and cinema. If you’re looking for some top notch children’s programming, Gulli Replay is the place to be. This streaming service offers an extensive selection of some of the best French language children’s television. 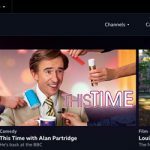 There’s a huge range of both TV and film to pick from, and you’re bound to find something ideal for younger viewers. MYTF1 is a great place to watch a broad range of films and TV. They don’t specialise in any one particular genre, but provide a wide selection of current and past content to choose from. They are also a popular spot for people looking to access American TV shows. 6Play made a name for itself as the first French broadcaster to fully venture into the world of reality TV. Today, for many people around the world looking to watch French TV outside France, they are the preference when it comes to reality shows. They also offer a range of other programming, covering news, sports, drama, comedy and children’s shows. Molotov is a more recent channel, offering a wide range of genres. They have billed themselves as one of the best free sites in French language on offer, and they have the content to back it up. If you’re looking for a great blend of old and new, available without paying a penny, they’re a good choice. ARTE shows programs in both French and German. It offers a wide selection of programming, mostly focussing on the arts and culture. However, they does also show a number of comedies and dramas that fall outside their typical listings. 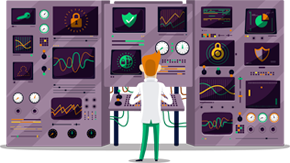 There’s tons of great programming available when you unblock French websites with Smart DNS. 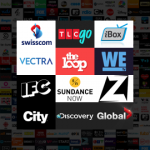 When you subscribe to our service, you’ll be able to take your pick of the best streaming services from over 250 sites. With more and more content at your fingertips, now is the time to invest in SmartyDNS.